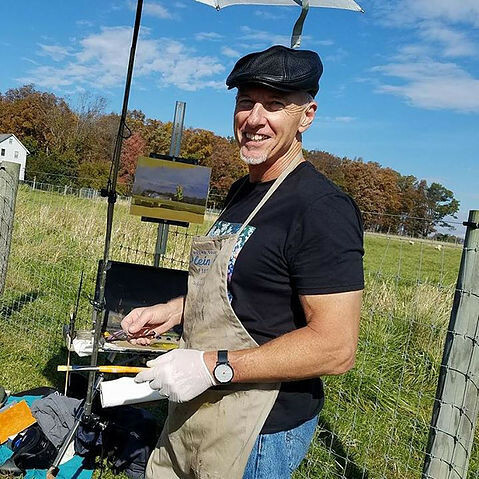 George Bodine paints landscapes, cityscapes, and people, working both in Plein air and the studio. Recently, he has been travelling extensively in Europe, and his paintings reflect his unique vision here and abroad. He paints almost exclusively in oils, many of which are from small, niche manufacturers. George often hand stretches Belgian linen sized with rabbitskin glue and primed with white lead, techniques dating from the 16th. century. Recently he is painting on sun bleached Belgian linen, again primed with white lead, but glued to either sealed Birch board, or archival quality Artist's board. He had never had an art lesson, and his distinct vision, coupled with careful, proven techniques ensure that his work will be permanent and able to be handed down within families or collections over centuries. 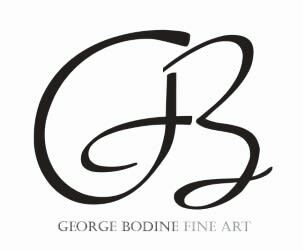 George Bodine's goal is to produce work that will transcend time. His subject matter, and especially style or "voice" in painting, is unique. His varied subjects keep him from being labeled as coming from one type or genre of painting. Consequently, his work is owned by diverse collectors varying from a U.S. Senator, a contemporary Art Museum, and a U.S. Embassy, in addition to hundreds of collectors in the U.S. and Europe. He was recently represented in the MEAM museum in Barcelona, Spain, and then at the Salmagundi Club in NYC. He will often work on a series of paintings, only to stop suddenly, sometimes to never return to the subject again. Although George has been reclusive by nature in associating with living artists and organizations, recently he did approach and was immediately accepted into the Oil Painters of America. Additionally, he has held 10 consecutive one man shows, almost all of which have sold out.